It is not on the Market Place because it was developed using Android AppInventor which does not (currently) allow you to upload apps to the marketplace. 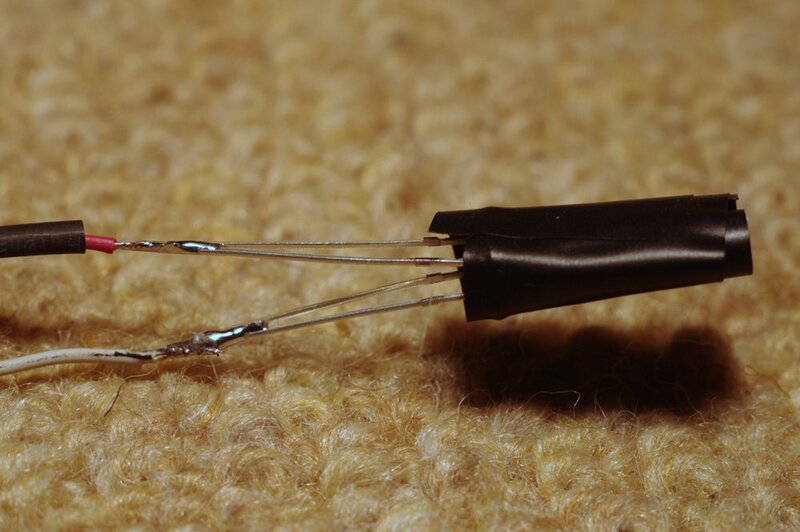 Thismorning I stumbled upon this Instructable detailing how to make an IR transmitter using an audio jack lead, which would then transmit any IR code using a custom .wav file. This is one of those situations where in a cartoon a lightbulb would have appeared above my head - idea! So this is a very quick guide as to how to utilize the IR lead in the above instructable (and kudos to alberto_canvas for a very informative guide as to how to make the lead) in order to use any MP3 player/phone or laptop (although I would highly recommend PK_Tether in that instance), basically ANYTHING that can play an audio file, as an intervalometer or remote timer. Here are some shots from my build. I started with a headphone extension lead, from Poundland (luckily I thought the one Maplin sold for £7.99 was a ripoff) and the two IR LEDs are from Maplin, code YH70M, just over a quid each. Testing. Believe me, when the shutter went off this was a real EUREKA! moment for me. 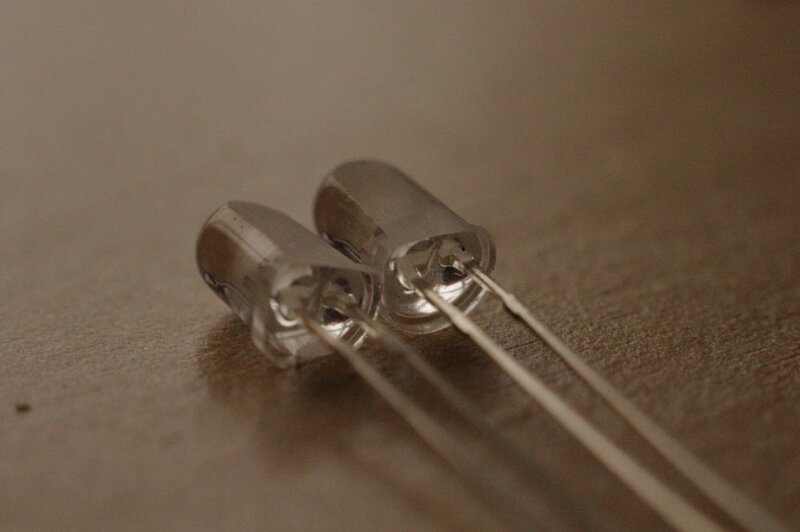 You have to wire them up so that the positive leg from one LED is attached to the negative leg of the other LED. 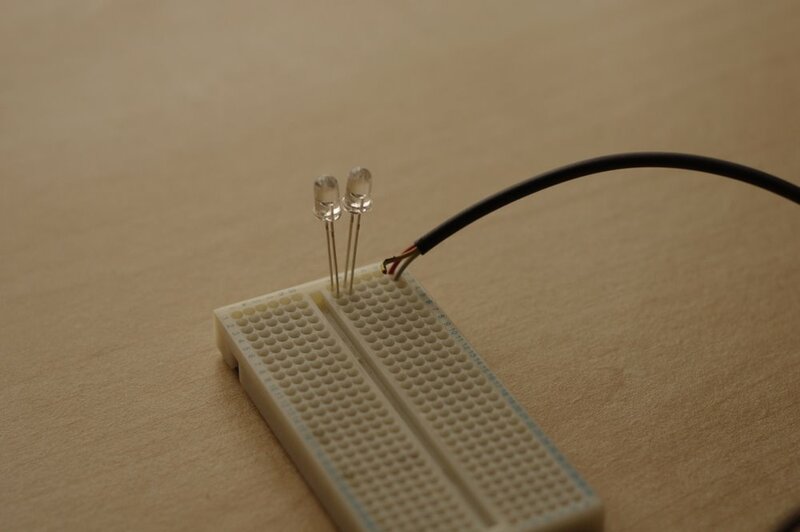 This is NOT a parallel circuit - they are two opposing diodes. This becomes clear later. 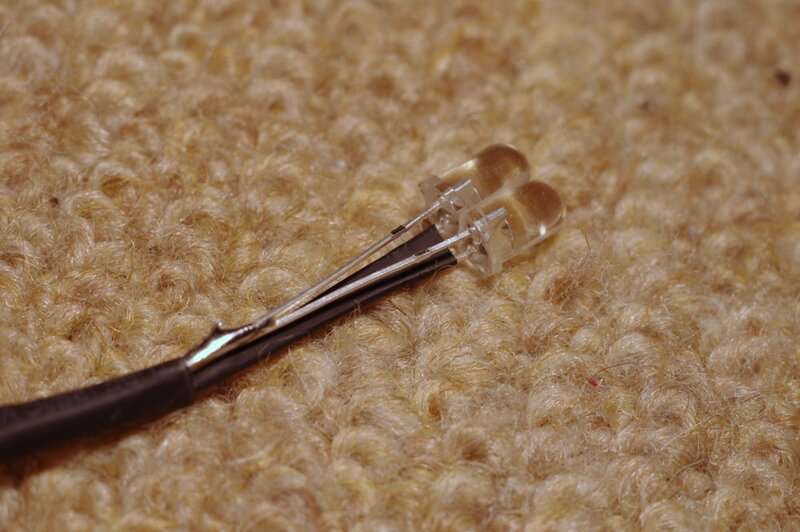 Also, my lead has a red, white and yellow wire. The yellow is ground, and is not connected to anything. See I started filing the wrong side on one of them. 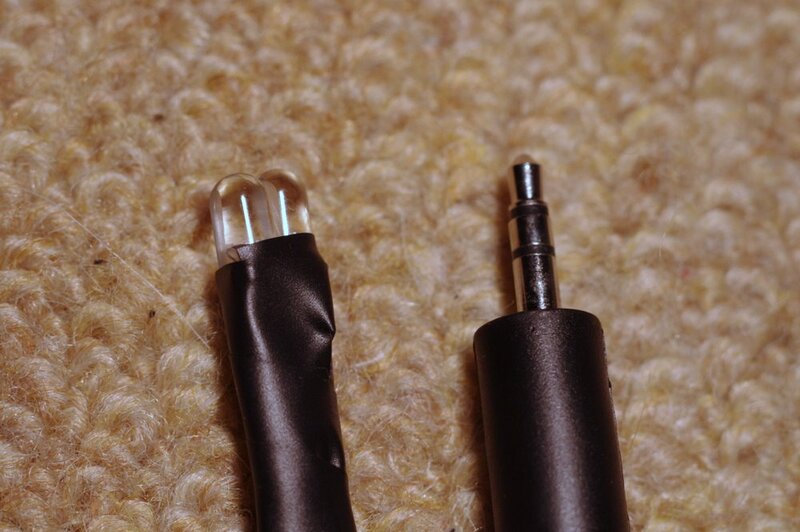 I used thin shrink tubing on one lead and then larger shrink tubing to cover both the leads, then wrapped the whole lot in insulation tape. Finished. Very simple. I guess it took about 2 hours to make but that included the time it took me to figure out how to make the .wav file work. So that's the lead. The next step is the .wav file. I found the correct code from this thread. It looks like this. So here's the important bit. To be honest i'm not sure that what I'm about to say is technically correct but, well it works so there you go. The IR code signal is 38kHz but the .wav file we will create cannot go that high. 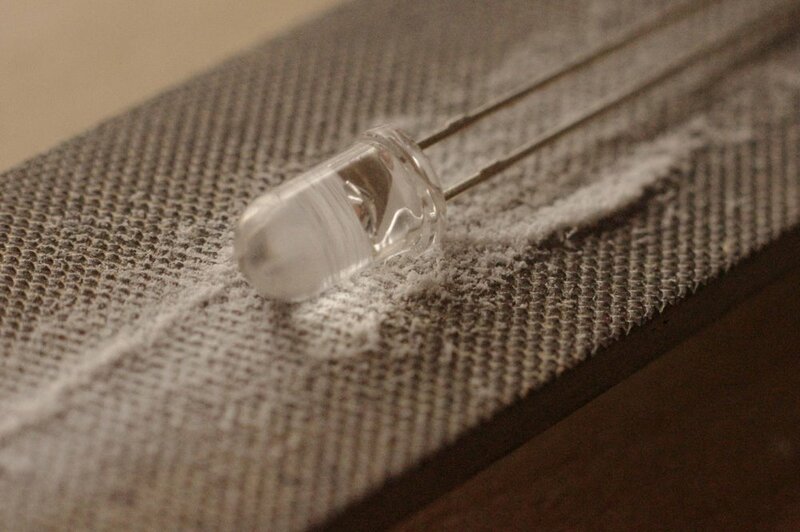 So what we do is use pulses of 19kHz, and because we have two LEDs wired opposing each other, one LED will 'light' up during the positive part of the wave and the other will light up during the negative part of the wave, so that for each wavelength we actually have two pulses - so a 19kHz wave gives us 38kHz pulses. Follow me? To make sure this works, only one channel (I've made it the left channel) can transmit the signal because if both channels do then they cancel each other out. Or you could invert the signal on the right channel (possibly leading to a stronger IR pulse - need to experiment with that). The signals are created simply using the "Generate, Tone" function in Audacity. I specified a square signal and 19000 Hz, for 13 milliseconds for the first long pulse and then 1 millisecond for the subsequent pulses. Here's a screenshot of the .wav file I created, I used Audacity which is free. Once it is saved as a .wav, use windows media player or something to check it works. 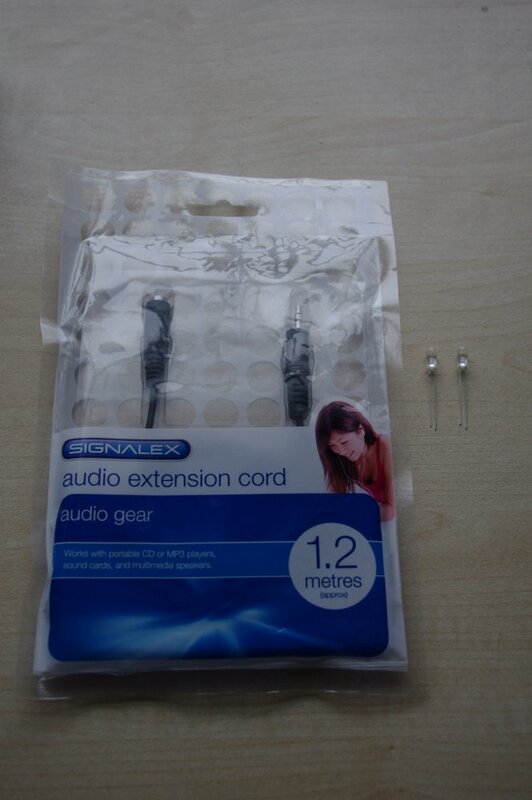 In case you hadn't guessed, the lead you made just plugs into the headphone jack of your computer/MP3 player/whatever. It's funny though - this didn't work with VLC. But windows media player did work. Meh. It also worked when I converted the file into an MP3, but possibly less reliably? Not sure. I would stick with wavs unless your device can't play them. with this on repeat, the camera will continuously take 30s shots until the memory card is full/batteries run out. Whatever, experiment, see what you like. Watch out for DFS though, but then you could even account for that by putting in the appropriate amount of silence for DFS. Anyway the point is this is a really really simple way to make your k-x into a time-lapse or astrophotography beast! You could even set up a playlist to give you, say, 100 exposures at 30 seconds, 10 exposures at 5 seconds, or whatever. I'll be making some sort of mount to attach the lead to the camera close to the IR port, possibly even just an elastic band or something. Also, as lavascript points out, this is useful for any pentax camera not just the k-x. However it is particularly useful for the k-x as it has no timelapse functionality. Last edited by piesforyou; 07-21-2011 at 03:20 AM. I wonder if an old bluetooth headset to do a radio controlled IR shutter release and just attach it to the lens with some gaffer tape. I will have to bookmark this post for the next time I have time to do a project. Glad you like it. As far as I know the code is the same across the board. As Lavascript said this is the coolest thing EVER ! This is pretty awesome. However, not all cameras operate the same. For the Kx, they added the ability to keep the shutter open on the first click and close the shutter on the second click for bulb mode. Not so with the Km or previous generations. However, if you can keep the signal pulsing then you could get a very long exposure. What I'd worry about it someone putting it on repeat and accidentally leaving it. If there a time limit to how long you can keep the shutter open and the sensor collecting light? not all cameras operate the same. For the Kx, they added the ability to keep the shutter open on the first click and close the shutter on the second click for bulb mode. Not so with the Km or previous generations. However, if you can keep the signal pulsing then you could get a very long exposure. I did not know that, thanks for pointing it out. Do you just keep the button pressed for bulb mode on the k-m then? In which case yes you would just repeat the signal over and over again for X seconds. It would still be pretty easy to use the shutter speed rather than bulb mode, it's just a case of figuring out how long the camera takes for a, say, 30 second exposure. In fact i'll time it right now. 31.8 seconds. Is that weird? Anyway it would be very simple to make an audio file which is, say, 33 seconds long to be safe, with the signal at the beginning. wow - after I ordered a bunch of stuff from China to build an interval meter. This is a great idea if powered by a smart phone, the possibilities are endless. It would be very simple (for someone who can code - not me!) to create an app for Android or iOS, or even symbian to control this. After all it's just playing a wav file at the right time. Edit: so simple I managed it myself. Android app is working. I don't have an iPhone though. Last edited by piesforyou; 02-02-2011 at 06:25 PM. Wow, this is just amazing. I'm definitelly gonna build it for time-lapse photography. This topic deserves to be marked as "sticky". Er guys, you know what, in 15 minutes I've just learnt how to make a kitty purr on my android, using Android AppInventor. It's so simple. Hell, that's a remote trigger right there. Gonna get me some free time to try it. About 5 minutes max with the K-x, with a external temp about 20°c. After that, the sensor heat too much and its cut by security. And you have to wait the sensor to be cooler to take some other picture, or use movie mode. what is the tolerance of the IR receptor about the peak wavelengt ? 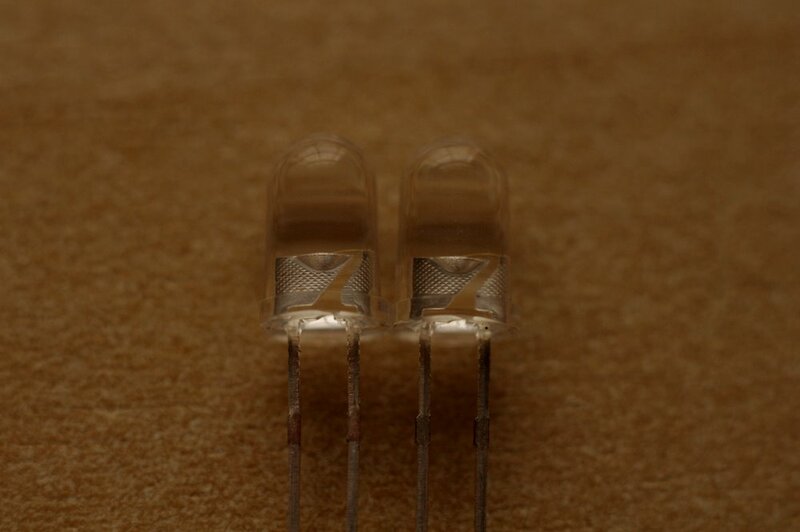 Your led are about 940nm. If i take 930nm or 945 nm, will it be okay ? Last edited by aurele; 02-02-2011 at 04:28 PM. Good news chaps. Android application is, well, functional! This means for the first time(?) you can actually control your Pentax camera using your Android smartphone. It currently has single shutter release and a simple timer function, with infinite shots or you can set a limit. Now I'm going to bed!